While Georgia may be the official Peach State, all across the United States, summertime is synonymous with “peach-picking.” May is the beginning of peach season, which continues until late September, but it reaches its ripe, juicy peak during July and August, and that means that no summer barbecue or picnic is complete without some sort of sweet peach treat. While traditional peach pie and peach cobbler is always a hit, this light and airy Summer Peach Pie Poke Cake is a true crowd-pleaser. 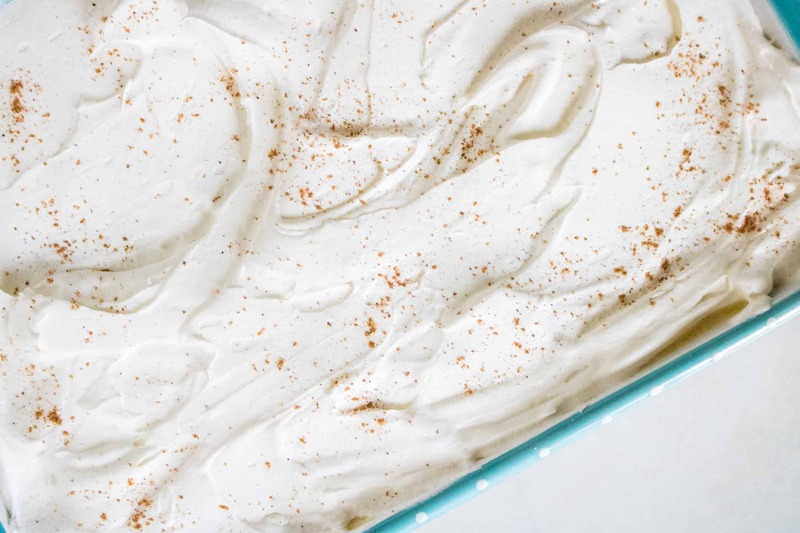 Plus it’s so simple and easy to make, you’ll want to bring it to all your summer celebrations! Bakers are now moving beyond gelatin and filling their poke cakes with everything from flavored syrups, chocolate, and salted caramel, to boozy cocktail mixers. Another popular filling choice is to use fruit in a variety of forms, such as purées, jams and compotes. In this Summer Peach Pie Poke Cake recipe, delectable peach pie filling infuses the light and airy white cake with classic peach pie flavor. 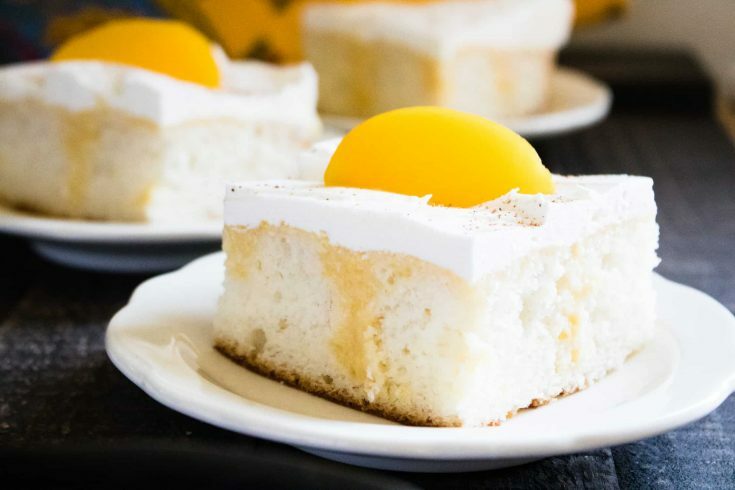 Looking for more ways to enjoy poke cake? Then take the original Strawberry Poke Cake recipe a step further by adding a hidden layer of delectable cheesecake pudding topped with sliced, fresh strawberries. 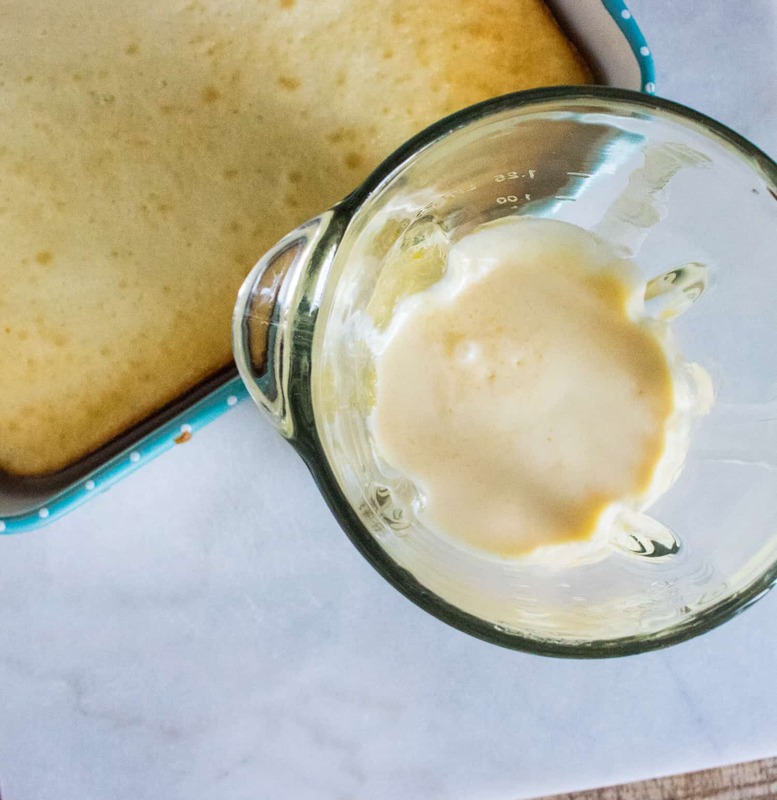 Or if you’re feeling adventurous, you’ve got to check out our recipe for Boozy Pineapple Piña Colada Poke Cake! And, if you’re in the mood for a more decadent dessert, this rich and delicious Chocolate Toffee Poke Cake is sure to satisfy. 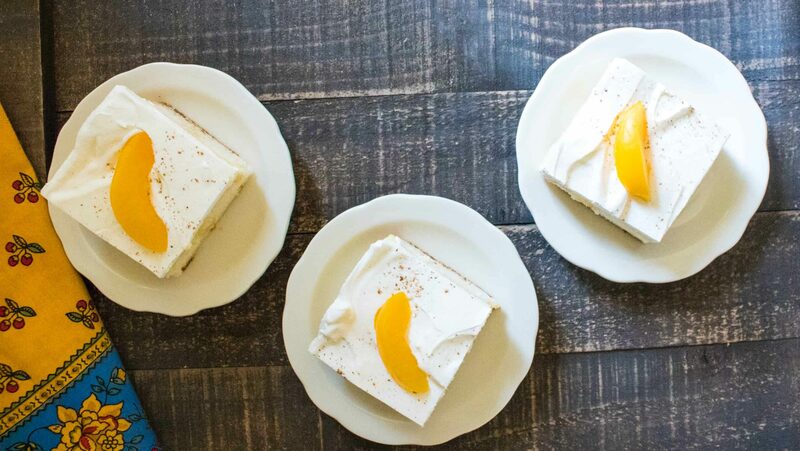 Another perfect summertime dessert, Orange Creamsicle Poke Cake, is a fun take on the classic frozen treat. Step #2: Using the end of a wooden spoon, poke holes in the top of the cake. Step #3: Mix together peach pie filling with 1/3 cup heavy cream in blender, and then pour the pie filling over the cake, making sure to pour over the holes. Step #4: Spread whipped topping over the top of the peach filling, spreading evenly over the top of the cake. Sprinkle with nutmeg. Step #5: Chill for 4 hours before serving. Step #6: Top with fresh or canned peach slices. Enjoy! 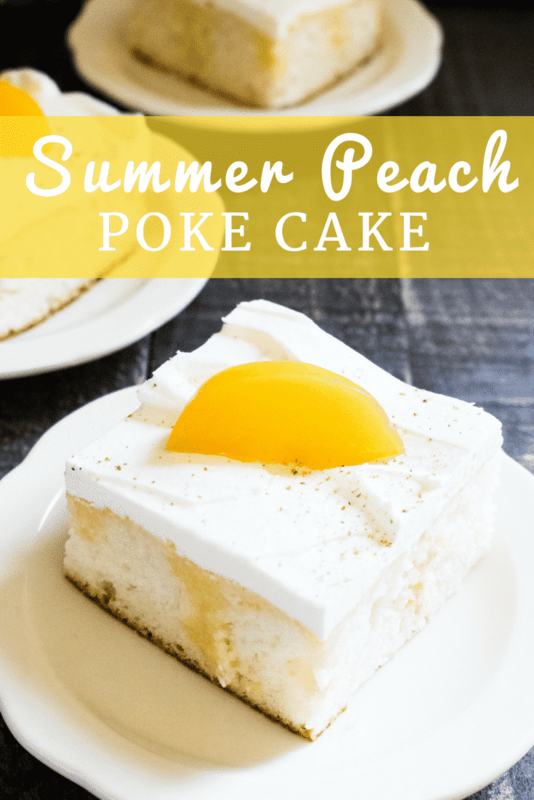 Summer Peach Poke Cake is the perfect sweet peach treat for all your summertime celebrations! Mix together peach pie filling with 1/3 cup heavy cream in blender, and then pour the pie filling over the cake, making sure to pour over the holes. Spread whipped topping over the top of the peach filling, spreading evenly over the top of the cake. Sprinkle with nutmeg. Top with fresh or canned peaches before serving, if desired.